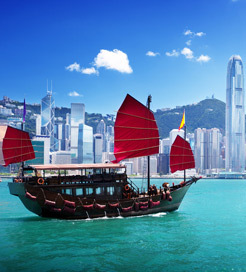 There are 4 ferry routes operating between Hong Kong and Macau offering you combined total of 158 sailings per day. TurboJet operates 7 routes, Hong Kong (Sheung Wan) to Macau (Outer Harbour) runs 78 times per day, Kowloon to Macau (Outer Harbour) about 15 times daily, Hong Kong (Sheung Wan) to Macau (Taipa) about 3 times daily, Kowloon to Macau (Taipa) about 3 times daily, Hong Kong Airport (Skypier) to Macau (Outer Harbour) about 4 times daily, Tuen Mun to Macau (Outer Harbour) about 7 times daily & Tuen Mun to Macau (Taipa) about 9 times weekly. Cotai Water Jet operates 3 routes, Hong Kong (Sheung Wan) to Macau (Taipa) runs 35 times per day, Kowloon to Macau (Taipa) about 6 times daily & Hong Kong Airport (Skypier) to Macau (Taipa) about 6 times daily. 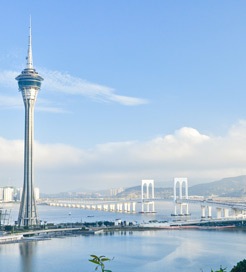 As the frequency and duration of crossings on some routes varies we would advise that you do a live search for crossings from Hong Kong to Macau to get the most up to date information.